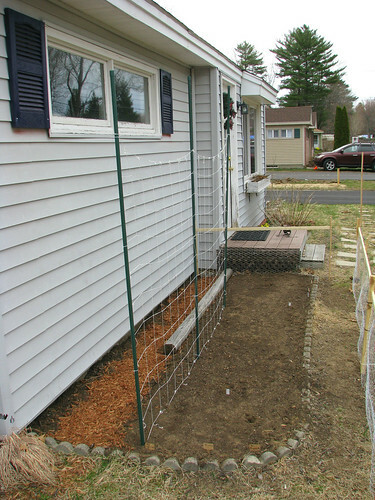 The snap peas were planted along the nylon string trellis. The seed packet indicated that the shelling peas (planted in front) don't need a trellis. We will see. I also constructed a wood / chicken wire fence to try to keep the local critters out.